1st Choice Seeds has always been at the front of the line selling the newest soybean germplasm and providing the latest herbicide traits to our growers. We were one of the early brands to introduce Glyphosate Tolerant soybeans in the 1990’s. 1st Choice Seeds was one of the first brands to participate in the Genuity® Roundup Ready 2 Yield® new higher yield revolution. Elite Liberty Link® soybean products provide a different mode of action for growers demanding outstanding weed control in fields with glyphosate resistant weeds. We also offer non-GMO conventional lines. All of our conventional soybean lines are STS® herbicide tolerant. The seed parenting of these lines do not contain Genetically Modified Organisms (GMO’s) and may be suitable for the non-GMO market for the conventional soybean grower. 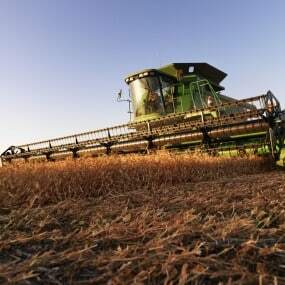 The Benefits of New Seed vs. Bin Run: Convenience: Highest quality and highest yielding products are New Seeds vs. bin-run. 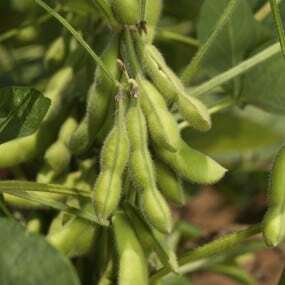 The higher yielding trait technology of Roundup Ready 2 Yield® Soybeans showed a 6.1 bushel per acre advantage over original Roundup Ready soybeans. New branded seed has a higher value because with a purchase of New Seed your farm accesses leading seed treatment options; reliable germination and quality; agronomic support; convenient packaging and delivery and the latest in high yielding soybean technology. Think before you bin-run: Most soybeans are still covered by a variety patent, and you will not be able to save and plant the seed from those varieties without a license giving you that added right. Higher seeding rates may be required for bin-run compared to branded seed.